These days, flying commercially can sometimes be described as nothing more than a series of inconvenient events. According to a new study conducted by Bloomberg Businessweek, some airports are far more frustrating than others. Based on the Bloomberg study, it’s clear that airports in America’s major cities such as New York, Los Angeles, and Chicago have a lot of work to do to improve their user experience. Flyers complained about the difficult commutes to the airport, mismanaged security lines, and a lack of amenities in the terminal. Using a combination of data from a 39-question survey of 3000 frequent flyers, on-time arrival and departure data, along with a calculation of how easy or difficult it is to reach the facility, Bloomberg created what it calls “The Airport Frustration Index.” Measured out of a maximum of 100, airports with with highest frustration index are the most…well, frustrating, while those with the lowest are the least. Of the 36 major North American airports included in Bloomberg’s report, here are the 15 most frustrating for travellers. As much as folks would be wise to avoid these airports, their presence on this list — in many respects — is due to their role as major regional or international hubs. Which makes them all but impossible to avoid for most travellers. With that in mind, check out the list so you may have a better idea for what to expect when you arrive. Why it's frustrating: Houston's George Bush Intercontinental airport cracks the list at number 14. IAH finished the 15th worst for on-time performance, with only 75% of flights leaving on time. Although there were not any particularly glaring weaknesses in the overall airport experiences, none of IAH's attributes were rated particularly well, either. At only 38 minutes on average from Houston's city center, the airport actually has one of the easiest commutes on the list. 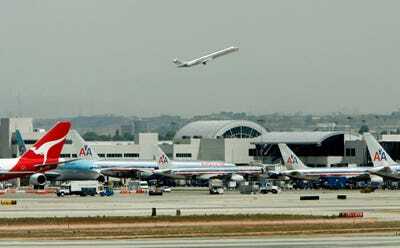 Why it's frustrating: Ft. Lauderdale's International airport makes the list at number 13 due to its poor on-time performance and lack of airport amenities. 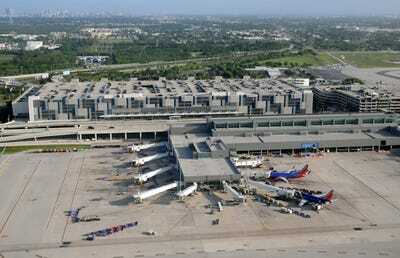 FLL finished with the 5th worst on-time performance of the 36 airports in the study. 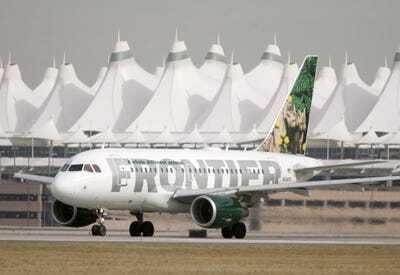 It's airport food and shopping facilities was rated as the 4th worst by Bloomberg's survey. Why it's frustrating: Miami International Airport's 9th place finish on the list is mainly due across-the-board poor ratings of its facilities. 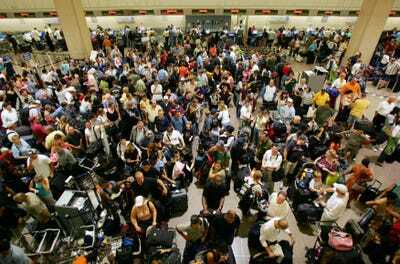 According to Bloomberg, MIA has the most time-consuming check-in/security process of any airport on the list. In addition, the airport wins the award for having the most confusing terminal layout of the 36 facilities included in the study. Why it's frustrating: They're not kidding when they say everything is bigger in Texas. DFW -- the fortress for American Airlines -- covers a massive 27 square miles. According to the survey, flyers warn of numerous last-minute gate changes, long treks through DFW's cavernous facility, as well as poor on-timer performance. DFW's 76% on-time performance makes it the 13th worst on the list. 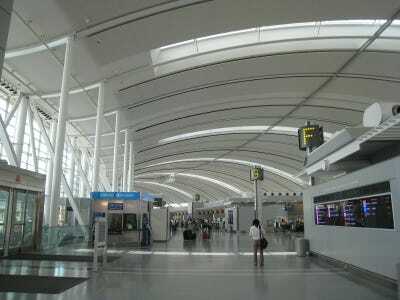 Why it's frustrating: According to Bloomberg's survey respondents, Toronto Pearson International is one long line after another. The airport received poor marks for its check-in and security process, as well as the lack of quality food and shopping venues. YYZ also has the third worst commute, with an average of 75 minutes to drive from downtown Toronto to Mississauga, Ontario. Why it's frustrating: Why is LAX so high on this list? It's old, crowded, and it's difficult to get to. LAX's security process, bathrooms, and shopping received abysmal scores across the board. With an average commute time of 73 minutes from downtown LA, the airport is the 4th most difficult to reach. According to Bloomberg, survey respondents also recommend anyone travelling to charge electronics ahead of time -- there's a serious dearth of power sockets. 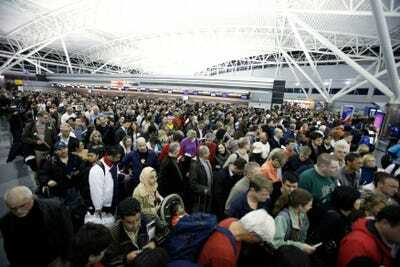 Airline passengers wait to re-enter Terminal 8 at the John F Kennedy International Airport following a security breach that required the evacuation of the terminal in New York January 16, 2010. Why it's frustrating: JFK cracks the top five mainly due to overall poor airport amenities, along with the fact that it's the most difficult to reach airport in the study. 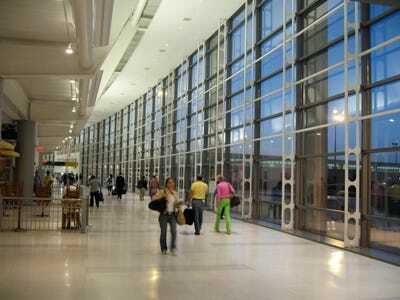 According to Bloomberg, it takes nearly 2 hours to reach the airport from New York's city center. The Airport's 6 different terminals make it quite a gnarly maze to figure out when travelling through. Why it's frustrating: Newark Liberty International Airport leads the list in the number of late and cancelled flights. This wouldn't be so bad if spending time at EWR was an enjoyable experience. Sadly it isn't. The airport also received incredibly poor ratings for its security screening experience, bathrooms, and available food/shopping.